19th-Century California Sheet Music - Over 2,700 pieces of sheet music published in California between 1852 and 1900, together with related materials such as a San Francisco publisher's catalog of 1872, programs, songsheets, advertisements, and photographs. Alan Lomax Collection - In March 2004, the American Folklife Center (AFC) in the Library of Congress acquired the Alan Lomax Collection, which comprises the unparalleled ethnographic documentation collected by the legendary folklorist over a period of sixty years. The acquisition was made possible through a cooperative agreement between the AFC and the Association for Cultural Equity (ACE), and the generosity of an anonymous donor. The Alan Lomax Collection joins the material Alan Lomax collected during the 1930s and early 1940s for the Library's Archive of American Folk Song, and its acquisition brings the entire seventy years of Alan Lomax's work together under one roof at the Library of Congress, where it has found a permanent home. From the time he left his position as head of the Archive of American Folk Song at the Library of Congress in 1942 through the end of his long and productive career as an internationally known folklorist, author, radio broadcaster, filmmaker, concert and record producer, and television host, Alan Lomax amassed one of the most important collections of ethnographic material in the world. AliveLyrics - Interactive and friendly lyrics directory. Always Run on the Net - Music, albums and songs: The lyrics for many of your favorite music artists are here. American Folklife Center (AFC) - Includes over three million photographs, manuscripts, audio recordings, and moving images. It consists of documentation of traditional culture from all around the world including the earliest field recordings made in the 1890s on wax cylinder through recordings made using digital technology. It is America's first national archive of traditional life, and one of the oldest and largest of such repositories in the world. American Sheet Music 1820-1860 - Over 15,000 pieces of sheet music registered for copyright during the years 1820 to 1860. This collection complements an earlier American Memory project, Music for the Nation: American Sheet Music 1870-1885 as well as the Band Music from the Civil War Era and Alfred Whital Stern Collection of Lincolniana. America Singing: Nineteenth-Century Song Sheets - Library of Congress. Anarchist, Libertarian and Rebel Songs - A small collectgion of international revolutionary songs. Archive of Popular American Music (UCLA) - A non-circulating research collection covering the history of popular music in America from 1790 to the present. The collection is one of the largest in the country, numbering almost 450,000 pieces of sheet music, anthologies, and arrangements for band and orchestra, and 62,500 recordings on disc, tape, and cylinder. Subject strengths within twentieth-century holdings include music for theater, motion picture, radio and television, as well as general popular, country, rhythm and blues, and rock songs. Aria Database - Over 1,000 operatic arias. Beatles, The - Also see Wikipedia's list and background info for all Beatles tunes. Johnny Cash - American Recordings lyrics. Merle Haggard - Down Every Road album lyrics. Rolling Stones and at Lyrics.info or Matt's Music Page - Also see Wikipedia's list and background info for all Rolling Stones tunes. Townes Van Zandt - Legend album lyrics. Bagaduce Music Lending Library - An international resource center for printed music and information. Balladeers, The - Irish and Scottish folk songs. Banjo Newsletter Tab Index - Over the years, Banjo Newsletter has published more than 3,500 banjo tabs in various styles. Best of Broadside 1962-1988 - Some lyrics (but with many missing) to songs appearing on this historic 5CD offering. Bluegrass Discography - This site is maintained by Charley Pennell, a library cataloguer by trade, currently at the D.H. Hill Library, North Carolina State University. Listings for 78, 45, and 33 rpm disks, as well as cassettes and CD, including numerous tables arranged by label, performer, and song titles. A keyword searching feature is available. Scanned images of various recordings are also displayed. Bluegrass Lyrics - Lyrics for traditional bluegrass and old-time music. Bluegrass Messengers: Bluegrass Lyrics - An ongoing collection of bluegrass and bluegrass related lyrics. Broadside Ballads Project - Makes digitised images of more than 30,000 broadsheets and ballads available to the research community. Cajun Lyrics - Cajun, zydeco and wamp-pop lyrics. Cantaria Folk Song Archive - A library of traditional and contemporary folk songs, mostly from Ireland, Scotland, and England, intended to be an educational tool for propagating the living song tradition by providing lyrics with recorded examples of songs being sung, historical notes about the songs and in some cases the sheet music. Charles H. Templeton Sheet Music Collection - Digitized sheet music for jazz, blues, tunes from Mississippi State University Libraries. Classic Country Lyrics - Dedicated to country music lovers that really enjoy the older country songs. Includes guitar chords. Cowboy Songs and Bar-Room Ballads - Cowboy lyrics. Cowpie Song Corral - Provides search engine and lyrics for country songs. Cyber Hymnal - Over 8,000 Christian hymns & gospel songs. Dancing Master, 1651-1728: An Illustrated Compendium by Robert M. Keller - A browsable and searchable database with page images and display of John Playford's complete works. Databases Including Scores/Sheet Music - Indiana University Music Library. Digital Dream Door - Music lists of music in all fields, plus lyrics and other information on artists. Digital Tradition - Another index of the Digital Tradition Folk Music Database; you can read about the Digital Tradition at their main site at Mudcat. Dorothy Starr Sheet Music Collection - A special collection of the San Francisco Public Library, with over 300,000 pieces of music for choir and ensemble, 18th century music, opera scores, children's music, folk songs and popular songs. Duke University Sheet Music Collections - Keeps an up-to-date index of links to significant online collections of sheet music. English and Popular Ballads by Francis James Child [1882-1898] - Francis James Child (Harvard's first professor of English) was a specialist in early English language and literature and wrote and lectured on, for example, the works of Geoffrey Chaucer, Edmund Spenser, and William Shakespeare. Child is best known, though, for his five-volume edition of 305 distinct English and Scottish ballads and their textual variants which he published as The English and Scottish Popular Ballads (1882-1898). English Broadside Ballad Archive (EBBA) - University of California, Santa Barbara. Under the direction of Patricia Fumerton, the EBBA team's priority is to archive all of the surviving ballads published during the heyday of the black-letter ornamental broadside ballad of the 17th century -- currently estimated to stand at some 11,000 extant works. Faber Music - Songbooks and sheet music. Fiddler's Companion, The - An index with more than 30,000 entries to tunes from Celtic, British and American traditions. Includes both print and recorded sources. It is the sole work of the Andrew Kuntz and identified contributors and sources. Folk Music Index - The recordings indexed here generally have a major emphasis on tradition based material from both commercial and non-commercial performers, including a considerable amount of old-time fiddle and banjo tunes. Although most of the recordings included are vinyl LP's, many have been reissued in both cassette and CD format and out of print material can often be found in both public and university libraries by search in the world catalog. Folkarchive.de - These pages of (mostly) song lyrics owe their existence to an American Studies class taught by Dr. Heiner Bus at Johannes-Gutenberg- University, Mainz, Germany in the mid-1970s. Lyrics to songs are provided in alphabetical order at A-L and M-Z. FolkLib Index - From the original FolkBook discographies for folk performers, including: Bluegrass and Old-Time Music, Acoustic Blues, Fingerstyle Acoustic Guitarists, Harp (the stringed kind) Players, and a very special emphasis on everything to do with Wisconsin music and musicians. Guantanamera - Perhaps the best known Cuban song and that country's most noted patriotic song. Hal Leonard - World's largest educational music publisher. Hal Leonard is also a leading publisher of songbooks, developing eBooks, digital sheet music, apps and more. Harry's Blues Lyrics and Tabs Online - Dedicated to making blues lyrics and soundclips available for private study, scholarship or research. Heptune Classical Jazz and Blues Lyrics - Jazz, blues, and other popular American music lyrics transcribed from recordings from the first half of the 20th century. Different artists sing the songs differently. The same artist sings the song differently in different recordings. This site provides alternative lyrics to songs with different versions as they continue to add to their transcriptions overf time. Hit Country Lyrics - Lyrics for country performers. International Lyrics Playground - Songs from Europe, North America and around the world pre-1985. International Lyrics Database - Lyrics and text from all over the world and from a large selection of musicians. International Music Score Library Project (IMSLP) - Providing music scores free of charge to anyone with internet access. Also see Petrucci Music Library. IWW Little Red Songbook, The - In the early parts of the 20th century (the exact years are unknown, but seem to range from 1904 to 1935), the Industrial Workers of the World (often also called "Wobblies"), a radical labor movement, published a set of songs called The IWW Songbook. This is the 19th edition, published in 1923. Also, some songs with commentary here. Irish Traditional Music Tune Index (Alan Ng's Tunography) - An impressive website that indexes both books and recordings of Irish tunes. Includes extensive information on alternate titles and provides details on many recordings for which the titles of tunes are problematic, such as medleys that often do not give full listing of the individual tunes played. Jesus Christ Superstar - Lyrics. Kiss this Guy - Misunderstood song lyrics. Labor Sings - Songs have played a key role in the Labor Movement and probably stand as the most well known form of labor art. From Labor Arts. Let's Sing It - Music community providing the largest lyrics archive on the web. Lied, Art Song, and Choral Texts Archive - A collection of texts used in over 97,000 lieder and other classical art songs. LiederNet Archive - World's largest reference archive of texts and translations of art songs and choral works. Houses an extensive, growing archive of texts to 144,627 settings of Lieder and other art songs (Kunstlieder, mélodies, canzoni, романсы, canciones, liederen, canções, sånger, laulua, písně, piosenki, etc.) and other vocal pieces such as choral works, madrigals, and part-songs, in 125 languages, with 29,794 translations to Catalan, English, French, Greek, Italian, Dutch, German, Spanish, Portuguese, and many other languages. Levy Sheet Music Collection - A massive sheet music collection with much turn of the century and earlier material now searchable on line to retrieve complete bibliographic information, including words to first lines. Most titles allow viewing of the original sheet music images. Lied and Art Song Test Page - A collection of texts used in over 115,000 lieder and other classical art songs (Kunstlieder, melodies, canzoni, романсы, canciones, liederen, canções, sånger, laulua, písně, piosenki, etc.) as well as in many choral works and other types of classical vocal pieces. Lyric Find - LyricFind has licensed content from nearly 2,000 music publishers and can display the lyrics to over a million tracks, a number that is constantly growing. LyricWiki - To access non-editable proprietary Gracenote lyrics from LyricWiki, among the best available, follow this convention: <http://lyrics.wikia.com/Gracenote:Marvin_Gaye>. Use Ctrl-A and copy all, then paste into iTunes lyrics filed or Notepad and cleanup. For community-edited LyricWiki lyrics, follow the convention: <http://lyrics.wikia.com/Marvin_Gaye>. Also, see Advanced Search. Mudcat Cafe - A collection of lyrics and digitized music files for more than 8000 folk songs. Both keyword searching and title browsing is possible. Also visit the related Digital Tradition Folk Music Database which includes makes GIFs or PostScript scores from tunes found in Mudcat's database available. You can also download a copy of the Digital Tradition database to your computer here. Extensive links browse and search page. Mutopia - Downloadable scores by major composers. National Library of Australia Digitised Printed Music - View over 12 000 Australian printed music items online from the 19th and early-20th centuries. Old Tyme Songs - Transcription of original text of the 1928 'Old Tyme Songs' handwritten notebook by Frances Jackson (1911-1946) of Wingham, Ontario, Canada. This is not a songbook. It is not a chart or a highly sophisticated notation system. However, the notebook provides details about the life and times of the author as well as personal interests and the evolution of the songs themselves. Opera Glass - Libretti, performance histories. Phantom of the Opera, The - Lyrics. Pianopedia - Search engine designed for piano teachers and students, as well as performing pianists. Play It Again, Sam - Songs of the labor and progressive movements of the 1940s. Plyrics - Punk music lyrics. Rap Genius - Your guide to the meaning of rap, R&B, and soul lyrics. You can listen to songs, read their lyrics, and click lines that interest you for pop-up annotations. Reel Book, The (Fred Parcells) - A collection of more than 1700 performances of Irish tunes transcribed in standard notation from a variety of sources including published recordings from the 20's thru the early 90's, pub sessions, and other venues. A small one time fee of $10. provides you with lifetime access to the scanned immages. Rock Wisdom - Over 9,000 quotations from popular songs. Ronald D. Cohen Collection, 1914-2005 - Ronald D. Cohen, professor of history at Indiana University Northwest-Gary, 1970-2005, wrote and edited numerous books and articles, many about American folk music, and co-produced compilations of folk and topical songs. He edited Red Dust and Broadsides: A Joint Autobiography, written by Agnes Cunningham (Sis) and her husband Gordon Friesen. Sis Cunningham was a songwriter and musician who performed with the Almanac Singers, a 1940s group of folk musicians, and the Red Dust Players, a 1939 radical agitprop group that performed plays in aid of the Southern Tenant Farmers Union. Gordon Friesen was a newspaper journalist and artist. Cunningham and Friesen fled anti-Communist harassment in Oklahoma and moved to New York City where they founded and published Broadside, a magazine that documented topical and folk songs, beginning in the early 1960s. This collection consists of papers, photographs, and audiovisual materials relating to Ronald Cohen, Sis Cunningham, Gordon Friesen, and Broadside. People figuring prominently in the collection include Barbara Dane, Josh Dunson, Bob Dylan, Woody Guthrie, Janis Ian, Ernie Mars, Phil Ochs, Richard Reuss, Malvina Reynolds, Pete Seeger, Irwin Silber, Sammy Walker, Alan J. Weberman, and Izzy Young. Audiovisual materials include Cohen's collection of audiocassettes with recordings of folk music radio programs, copies of 78 rpm records, interviews, and commercial recordings. Microcassettes include recordings of Cohen's interviews with folk musicians and others associated with folk music. Roots of Folk: Old English, Scots, and Irish Songs and Tunes (Bruce Olsen) - A massive and fascinating tour through the early publications and manuscripts that are the sources for many of the ballads and tunes that we now sing and play. Roud Folk Song and Broadside Index - A massive database of traditional songs and broadsides from a wide variety of english language sources, produced by Steve Roud, the librarian for Local Studies for Vaughn Williams Memorial Library. Sea Shanties and Drinking Songs - 'We'll sing any song about the sea, or about drinkin' rum, or about being at sea when ye'd much rather be ashore drinkin' rum with pretty lassies who're also drinkin' rum." Sheet Music Consortium - A group of libraries working toward the goal of building an open collection of digitized sheet music. Sing Out Magazine Folk Song Index - Sing Out, the premier folk music magazine, now more than 50 years old, has a complete listing of all songs published during this time. The magazine also maintains the Sing Out! Resource Center, which houses thousands of items and this resource is available to members. An Index to more than 2500 books with some 48,000 song entries in this collection are now available thru a database developed at Oberlin College. Sing365 - Full text phrase searchable database with over 400,000 lyrics. Socialist Song Book -Many of these songs are illustrative of the politics, particulary left-wing politics, of mid century America. This was the time of the Depression, the Popular Front, the Spanish Civil War, World War II, the Red Scare, the Cold War, McCarthyism, and many other major political happenings, all of which are touched upon and often satirized in these songs. Songs by Lorenz Hart - Lyrics by Lorenz Hart. Songs Inspired By Literature (SIBL) Project - A literacy project featuring songs inspired by literature (SIBLs) written by world class artists such as Bruce Springsteen, Suzanne Vega, Ray Manzarek, Grace Slick and Aimee Mann. Song Texts of the Original Carter Family - Look here to find lyrics for many of the songs found in the vast repertoire of the Carter Family. Songfacts - Song meanings and song information; album and chart position; music trivia, title search, lyrics database. Spellman Collection of Victorian Music Sheet Covers - The 800 images digitised under the JISC Image Digitisation Project, and available here, include a small number from the University Library's Great Exhibition Collection, the H Baron Collection, and a private collection. Teploff's Music Collection - Over 3,000 author's biographies, 5,500 texts of of songs, and 13,500 links to internet resources about separate authors. Also see links to internet musical resources with comments. Todd's Lyrics and Links - Todd Peaches artist lyrics pages. Top 40db Music Service - "The same wrong lyrics can be found on many websites. They simply steal lyrics from each other, assuming them correct. We strive for perfection; we transcribe lyrics ourselves. Some artists have kindly submitted their own lyrics." Traditional Ballad Index, The (Robert B. Waltz and David G. Engle) - An annotated bibliography of the folk songs of the English-speaking World. Includes both recordings and printed sources, with the focus on ballads. The Traditional Ballad Index is a collaborative effort designed to help people find reference information on folk ballads. It is not itself a source of song texts or of discussion of ballads, although it contains some summary information. Also see Search Ballad Index. 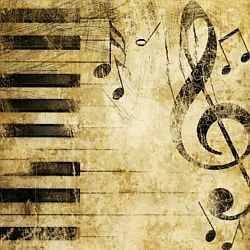 Traditional Music Library - A large archive of traditional, folk & old music - song-books with lyrics & chords, tune-books, sheet-music, scores, old songs, midi backing tracks, tabs, music lessons & theory, learn to play guides for various instruments, chord diagrams, scales and other music educational & academic reference materials. The traditional and folk music here is categorised into various sections such as: Bluegrass, Old-time, Old Country music, Irish, Scottish, Christian music, Gospel, Worship, Hymns, Christmas Music, Celtic, Ballads, Blues, Jazz, Session Tunes, Carter Family, Childrens Songs, etc. Tablature collections for Guitar & mandolin, Singing lessons, Song writing, Chord Charts for piano, guitar, mandolin & banjo. Downloadable PDF scores to print sheet music and MIDI backing tracks for many of the songs. A complete library of 60000+ pages for musicians, bands, music teachers, music students or plain lovers of Real Music as it used to be. TuneIndex Search - Search master index of hundreds of tunebooks, with a total of over 55,000 entries (July 1996 edition). This index is only for tunes published on paper: this will not help if you are looking for downloadable music. Once you find an entry of interest, consult the Bibliography to see where and when the collection was published. Includes type of tune (jig, hornpipe, etc. ), keys and timings of titles. TuneWiki - With the largest legally-licensed lyrics database in the world, TuneWiki also makes music social - with community wiki-features for lyric and translation updates, our users can help add, translate or time the lyrics to their favorite songs. Union Songs - For over two centuries working people across the world have built trade unions. This site documents the songs and poems that they made in the process, union songs. Urban Lyrics - Source of R&B, rap, hip-hop, soul, gospel and reggae lyrics. West Side Story - Official site contains both original 1957 Broadway stage lyrics and original 1961 motion picture soundtrack lyrics. This webpage last updated on Wednesday, August 9, 2017 5:59 PM.